Halal baby food pioneers Mumtaz are set to take their baby food global just four months after its UK launch. The Bradford based food company launched its baby range in supermarkets this summer, including Tesco, Asda and Morrisons. The product also proved popular in independent stores and pharmacies up and down the country. 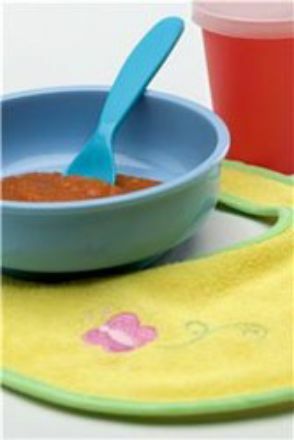 The Halal baby food range was inspired by reports suggesting that the mental development of Muslim babies was slower than average because mothers did not want to risk feeding their babies non-Halal products. The babies therefore missed out on vital proteins from meat until they were much older. Bill Kimberley has been appointed as the new commercial director to spearhead the campaign. Having previously worked for Cow & Gate, he knows the industry well and is looking forward to the exciting opportunity. "As a company Mumtaz genuinely want to offer Muslim mums a choice for their babies that is not covered by the baby food market," he said. "The fact that it contains more meat product than its market rivals also offers non-Muslim mums the very best product for their babies but in the convenience of a jar." Mumtaz Food Industries started out in 1980 as a takeaway firm and gradually expanded, supplying its own ranges of Asian delicacies to UK supermarkets. It now has an annual £25 million turnover and employs 250 staff.